Just after I purchased this burlap sack, I knew exactly what I was going to do with it. 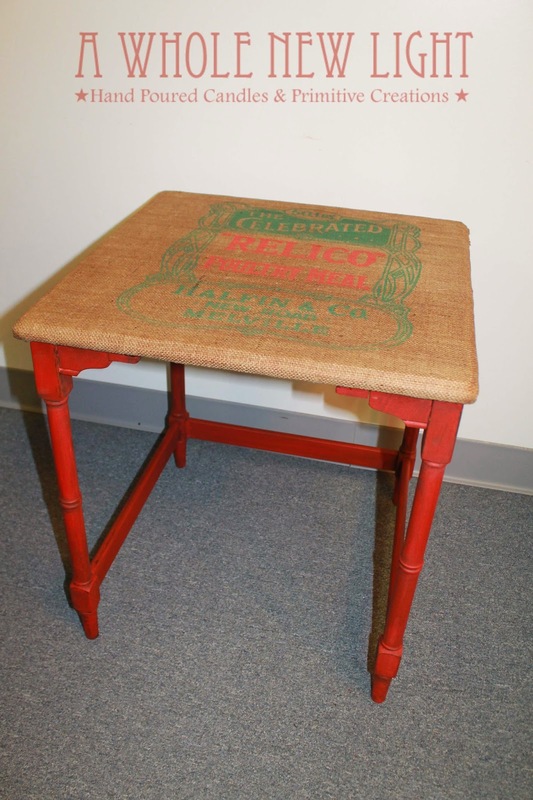 I found a table that was perfect for the size for the burlap .I got to work painting it red , distressed and glaze in a darker shade. 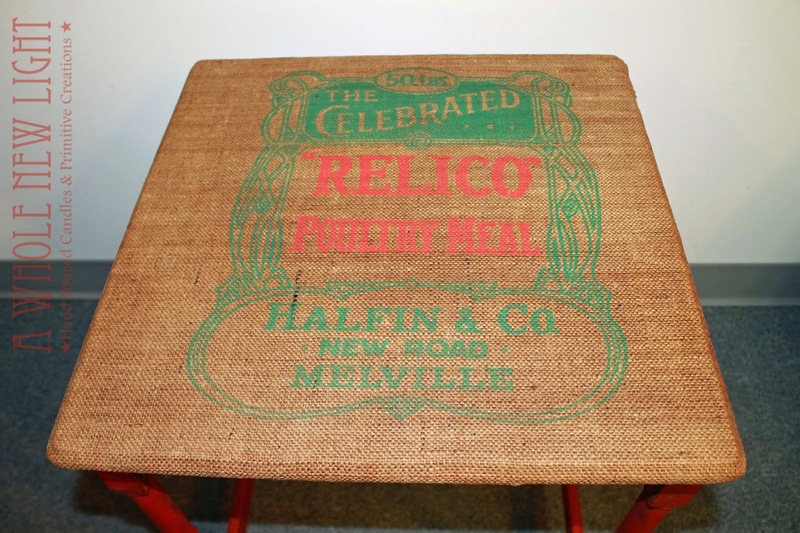 I placed and stapled the burlap onto the table, and then applied several coats of glue to adhere the burlap to the top. What do ya think?